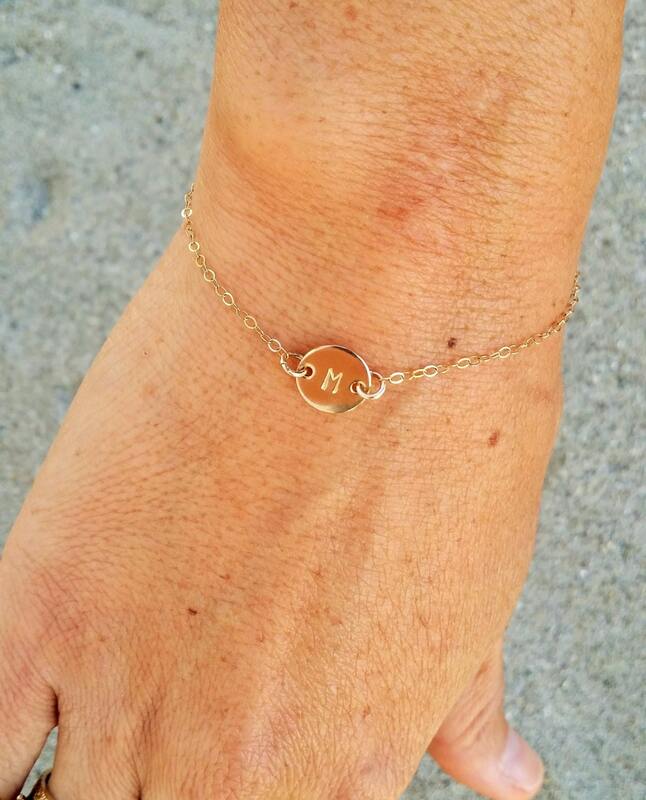 This tiny bracelet is made of high quality, tarnish resistant, Gold Fill. 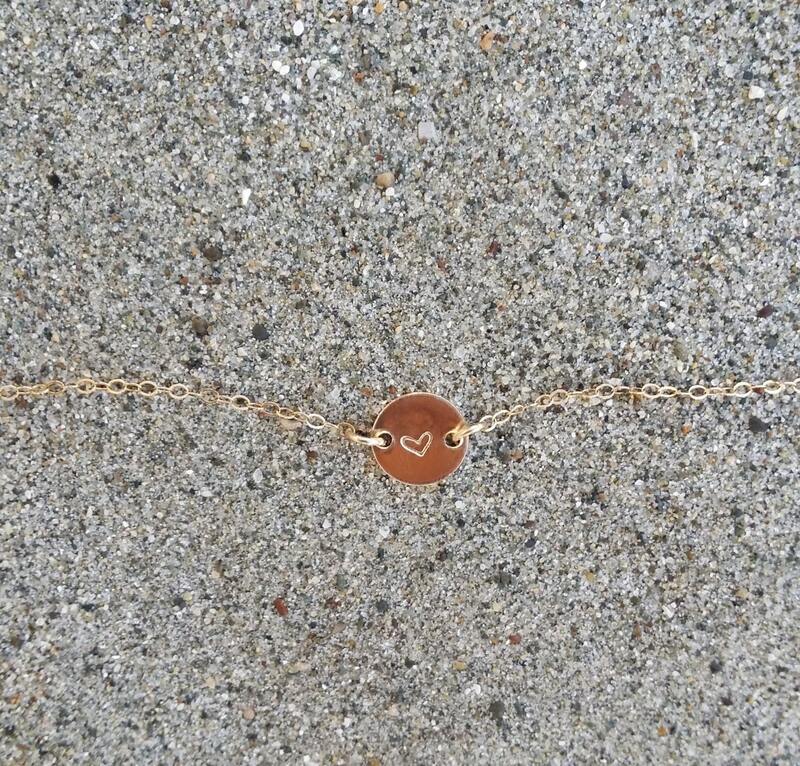 The charm measures 9mm across and is attached to a delicate and shiny flat Gold Fill cable chain. 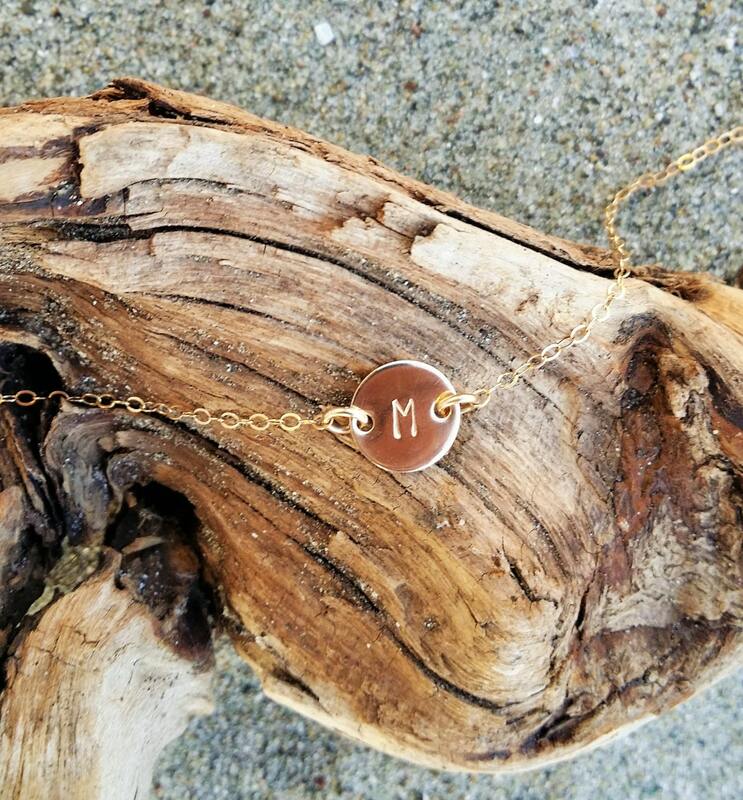 Your initial will be hand stamped in 3mm Ariel font letters. Perfect for every day wear! 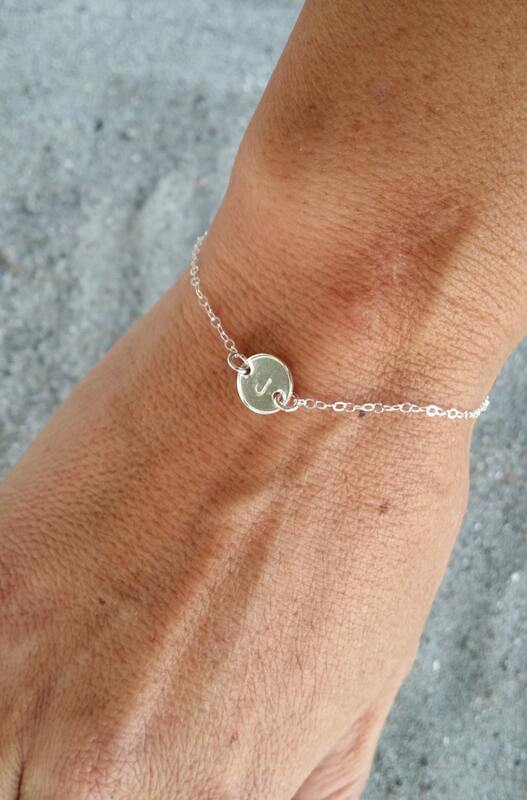 Also available in Sterling Silver as seen in the last photo: https://www.etsy.com/listing/182321579/tiny-sterling-silver-monogram-bracelet?